Lovely to see this young Rock N Roll Heaven filly hooning around the big rolling paddock at Breckon Farms when I visited this morning. With her is dam Zenterfold – who enjoyed two apples and a good scratch. 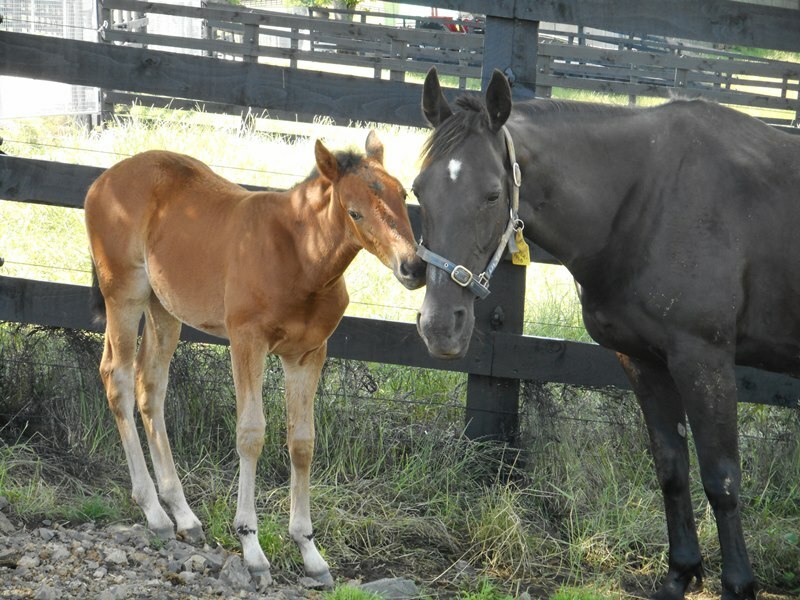 Zenterfold with her Rock N Roll Heaven filly, nicknamed Taffey. Little Heaven filly’s a cracker Bee, This one might be a keeper. Have a great Xmas if I don’t get a chance to catch up. Thanks Richard. Happy Christmas to you and Barbara.